Symbolic of life's twists and turns, the Path of Life reminds us that there are infinite possibilities and many paths we can take. Wear your Path of Life bangle to embrace those crazy moments in life, smile and carry on, confident that things will always work out right in the end. 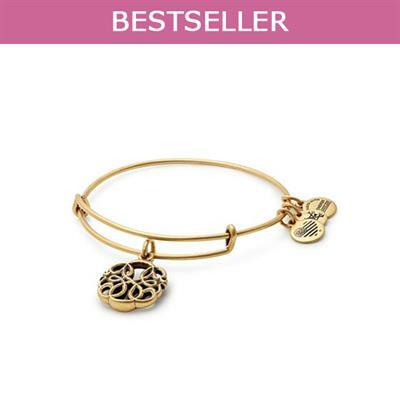 The charm hangs from Alex and Ani's Expandable Wire Bangle and is available in a Rafaelian Gold and Silver finish. Alex and Ani bracelets are made from recycled materials with a Gold or Silver finish. With powerful symbolism and infused with positive energy, these fabulous bracelets are the next big thing and already huge in America. The patented sliding mechanism makes the bracelets fully adjustable and perfect for stacking!